Genius Sports, in partnership with FIBA, is proud to have launched FIBA LiveStats (FLS) Version 7, a totally revamped and enhanced version of the long trusted FIBA LiveStats application. FLS Version 7 has been developed off the back of extensive research about how fans, leagues and other stakeholders (e.g. media channels) consume basketball statistics, as well as drastically improving the overall experience for statisticians using the program; addressing known areas requiring attention relating to fast, accurate data entry and the user experience in general. LiveStats V7 is available in English, Russian, Polish, Spanish, Lithuanian, Portuguese, Chinese, Italian, French and German. Already in use by a number of professional and semi-professional leagues around the world, FIBA LiveStats is a software application that allows users to record complete basketball statistics and webcast games in real time. 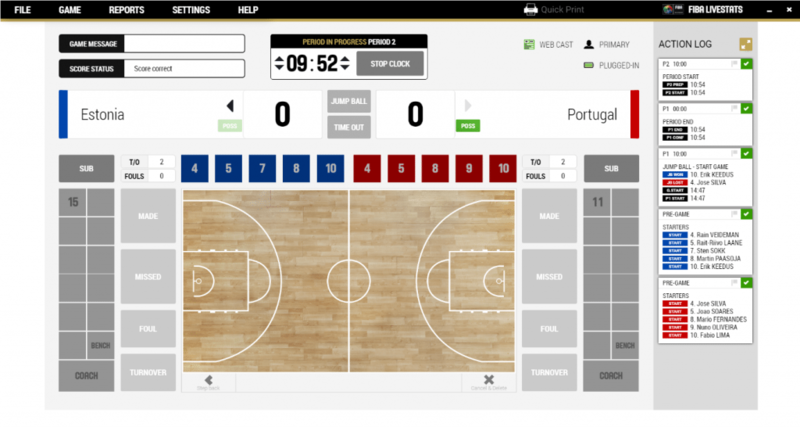 Provided free via download, FIBA LiveStats is fully compliant with FIBA rules, and allows the user to setup a game end-to-end; including players, coaches and officials from both teams, and collect full game statistics using a simple point and click method.